End of Summer Reading Program 2018 – Celebrate the End of Summer Reading Program, plus the Herndon Branch Library hosts a Back-to-School Bash in August 2018. Join us as we celebrate the end of the 2018 Summer Reading Program with the Kids’ End of Summer Celebration. On August 4 several branches join the festivities full of fun, games and activities. Bring your Prize Pass to enter the Grand Prize Drawing for a chance to win some awesome prizes, including tickets to local attractions. See below for more details. It’s back-to-school time again and we’re hosting a Back-to-School Bash. From August 6 to 11 the Herndon Branch invites you to enjoy your last week before school starts with plenty of fun-filled events. Watch movies like Middle School: The Worst Years of My Life, make crafts inspired by Diary of a Wimpy Kid and much more – No. 2 pencil not required. Calling all wimpy kids, dorks, nerds and everyone in between. Summer may almost be over, but back-to-school can be fun too! Celebrate your last week of freedom with fun crafts, movies and activities all week long at the Herndon Branch. All events recommended for lower and upper elementary. Monday, August 6, 2:30 p.m. Celebrate going back to school with the screening of the movie, Middle School: The Worst Years of My Life. Tuesday, August 7, 4:30 p.m.
Design a personalized sign for your room at a WhizKids class! Learn to properly use the mouse to move pictures using drag and drop and use the keyboard to type. Wednesday, August 8, 3:30 p.m. Celebrate back to school with the National Espionage, Rescue and Defense Society (N.E.R.D.S.)! Join us as we go undercover to create our secret agent identities with top secret crafts and activities. Thursday, August 9, 3:30 p.m.
Be a back-to-school hero with Dog Man and Cat Kid by learning how to create your own comic strips! Friday, August 10, 2:30 p.m. Embrace going back to school with a Not-So-Dorky Back to School Bash and have fun with Dork Diaries themed crafts and activities. Saturday, August 11, 11 a.m. Enjoy the end of summer with Diary of a Wimpy Kid crafts and activities! Orlando Public Library, Melrose Center, 101 E. Central Blvd. Saturdays, August 4 & 18, 10 a.m. Build and play with science and technology at the Melrose Center! Bring your family, bring yourself and see what wonderful things we have to offer. Available resources include LittleBits, Snap Circuits and LEGO WeDo. Ages 4–104. Minors under the age of 14 must be accompanied by a parent. Saturday, August 4, 2 p.m.
It’s time to celebrate all the fun you had this summer. Bring your Prize Pass to enter the Grand Prize Drawing and see if you are one of the lucky winners of great prizes like bicycles, tickets to local attractions and more! Ages 6–12. Child must be present to win. 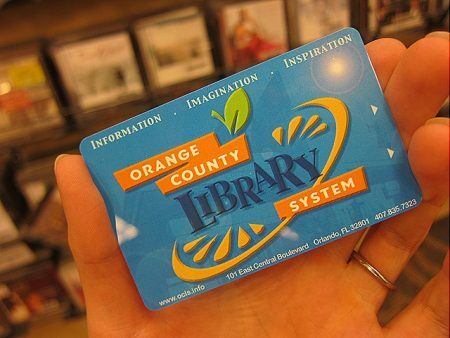 Orange County Library System juvenile regular, property owner or fee library card in good standing is required to win. Visit ocls.info/srpkids for complete rules. Prize passes must be turned in by 1:45 p.m. on Saturday, August 4. Saturday, August 4, 3:30 p.m.
Thursday, August 9, 4:30 p.m. Create a dynamic slideshow presentation with animations and cool images for a school project using Microsoft PowerPoint. Ages 9–12. Monday, August 6, 11 a.m.
Wednesday, August 15, 10 a.m.
Thursday, August 23, 2 p.m.
Wednesday, August 29, 10:30 a.m. Welcome to our neighborhood of make-believe. Join us for a grr-ific time learning practical skills with stories and interactive activities! Inspired by PBS Kids’ Daniel Tiger’s Neighborhood series. Recommended for toddlers and preschoolers. 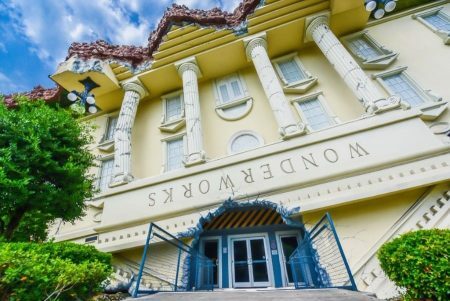 Monday, August 6, 1 p.m.
Race to win as you learn something unique about various places around the world. Recommended for lower and upper elementary. Monday, August 6, 2 p.m.
Monday, August 6, 4:30 p.m.
Wednesday, August 8, 4:30 p.m.
Tuesday, August 28, 4 p.m.
Monday, August 6, 4 p.m.
Tuesday, August 7, 5 p.m.
Thursday, August 9, 3 p.m.
Thursday, August 16, 4 p.m.
Saturday, August 25, 10:30 a.m.
Saturday, August 25, 2:30 p.m.
Monday, August 27, 3:15 p.m.
Wednesday, August 29, 4:30 p.m. Celebrate all that is special about Pop-Tarts: the filling, frosting and sprinkles that dazzle our taste buds! Add your own twist as you use your imagination to make a blank canvas pop! Recommended for upper elementary, tweens and teens. Friday, August 10, 11 a.m.
It’s time for an introduction to yoga with zoo animals and friends! Learn fun movements as you go on a wild and magical journey full of movement and stories. Comfortable clothing is encouraged and mats are welcomed. Recommended for toddlers and preschoolers. Saturday, August 11, 2 p.m.
Tuesday, August 28, 10:30 a.m.
Thursday, August 30, 10:30 a.m.
Have a magical breakfast with a classic Mickey waffle! Slice, spread and sprinkle delicious toppings for a magical treat. Bring your little one to learn cooking skills such as kitchen safety, layering, measuring, smearing, tasting and presentation as you interact with a delicious recipe. This class is a “Mommy or Daddy and me” event. Registration required. Recommended for preschoolers. This event has been generously sponsored by the 2018 Disney Grant. Get your family moving with this energizing workout class! Learn basic Zumba moves to help you dance your way to fitness. Zumba uses dance aerobics to create a fun workout. Comfortable exercise clothing and cross training or aerobic style shoes recommended. Recommended for children 4-13 years old and adults all ages. Friday, August 17, 11 a.m.
Wednesday, August 22, 10 a.m.
Thursday, August 30, 11 a.m.
Thursday, August 30, 2 p.m.
You can create art from anything, anytime! All you need is your imagination. Recommended for toddlers and preschoolers. Wednesday, August 22, 10:30 a.m.
Wednesday, August 22, 11 a.m.
Tuesday, August 28, 11 a.m.
We’re going wild for shapes! Learn about our many sided friends with fun hands on activities and stories. Recommended for preschoolers. Come and join us as we have fun with science experiments and building technology with K’NEX, Snap Circuits, littleBits and so much more! Recommended for lower and upper elementary. 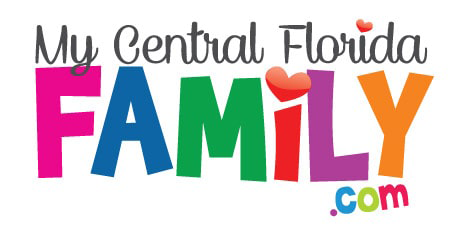 Disclaimer: This End of Summer Reading Program 2018 event is subject to last minute cancellations and changes which might not be reflected in this MyCentralFloridaFamily.com post. Please always confirm with this family-friendly business by calling or clicking.